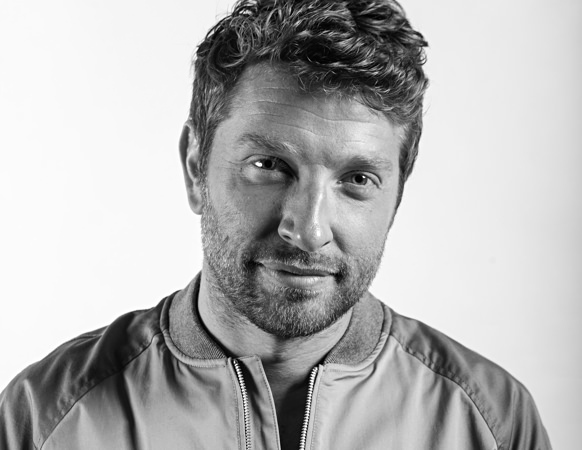 My Morning Routine: Brett Eldredge | Valet. 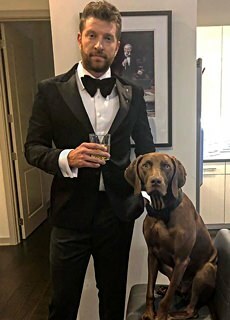 Follow Brett (and Edgar) on Instagram at @bretteldredge. Brett Eldredge seems to have it all figured out. As one of country music's rising stars and most sought-after singers, he's developed a core following dedicated not just to his guitar and voice, but also his good looks and well-appointed wardrobe. The Illinois-native has eschewed the old school Alan Jackson look of Wranglers, snakeskin boots and a cowboy hat in favor of a more contemporary get-up. Think: suede bomber jackets, designer tees and even a well-tailored tux for those special nights. Appearing on countless best-dressed lists, named country music's most eligible bachelor, and debuting his most recent album at #1, Brett stays plenty busy in both the music world and pop culture. Touring with the likes of Taylor Swift, Keith Urban, and now Luke Bryan, and racking up plenty of late night TV appearances, you'd think he barely has room for a little "Brett time." That's where his mornings come in, as he explained to us. Check out how he spends his first 60 minutes or so everyday below. Up at 7:50 am. On the dot, pretty much every day. I'm pretty serious about targeting eight hours every night. Immediately after waking up, I meditate for 15 minutes. I use the 10% Happier app to level-set everything in my life. It works wonders. My dog Edgar plays a big role in the morning. He wakes up with me, so I'll play with him while drinking a protein shake (mixed with Vega plant-based protein). Then I'll turn on some music and get ready for the gym. After the gym, I have a pretty big [editor's note: but extremely healthy] breakfast. An egg white omelette with mushroom, peppers and onions topped with avocado. Some days I'll add tofu or chicken sausage. Just depends on how ambitious I'm feeling. I'm a big cappuccino fan. Usually made with regular milk. If I switch to say, iced coffee, I'll use almond milk, though. And if I'm at home, I just use my Nespresso machine. 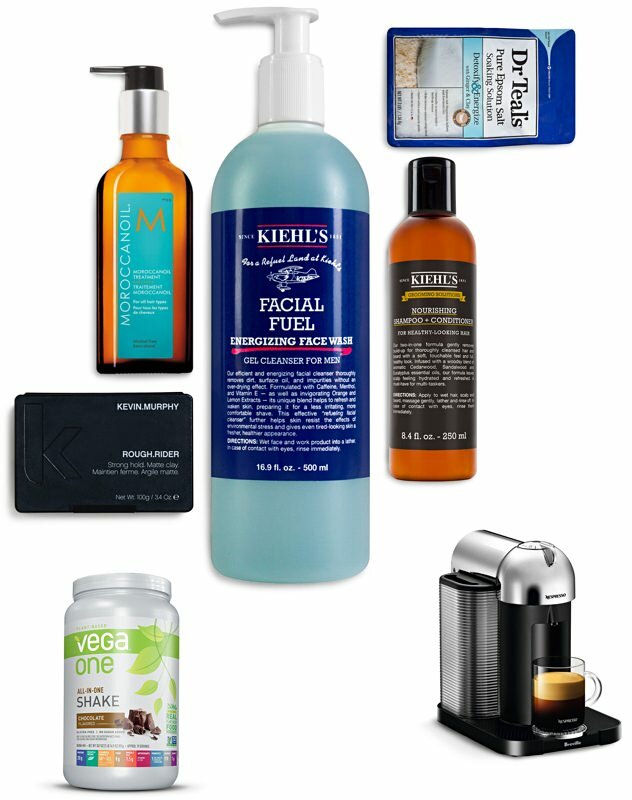 I love their products, especially the Facial Fuel Energizing Face Wash. And if I'm going to relax in a bath? You've gotta have Dr Teals epsom salt. Post shower, it's pretty much about my hair. I swear by Kevin Murphy's Rough Rider pomade. And a hairstylist turned me onto Moroccanoil Treatment, which keeps your hair healthy and easy to style. When I'm not on stage or busy at some event, I keep it pretty classic. Jeans, boat shoes and a styled, comfortable sweater.